Layher will be showcasing their products and services at the annual Secunda Petrochemical Roadshow on the 28th March 2019. Visit their stand! Established in 1945 as a family company, Layher is a pioneer in advanced scaffolding systems and is consistently at the forefront of innovation, safety and quality. 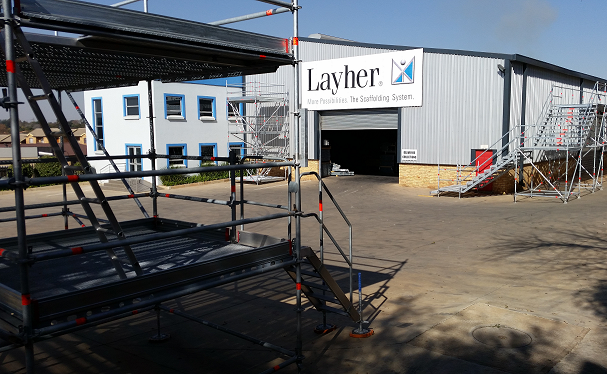 Layher is the world’s largest producer of high-quality system scaffolding, with all its material manufactured at the company’s headquarters in Eibensbach, Germany. 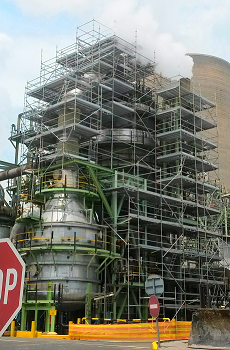 Layher’s Allround scaffolding system is designed with high precision and allows up to eight connection points at the rosette. Based in Johannesburg since 2011, South African subsidiary Layher (Pty) Ltd provides high standards of engineering and service, while ensuring that customers can profit without compromising on safety. Skilled local engineers design systems and train clients in the use of the Layher systems. 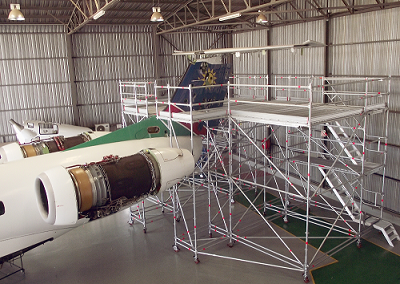 In addition, Layher engineers provide support in the assembly process where necessary. Layher understands local needs and works closely with contractors and clients to ensure the successful outcome of projects. With the support of its engineers, Layher aims to speed up assembly and reduce downtime in a safe, innovative and efficient manner on projects across South Africa and the rest of Africa. 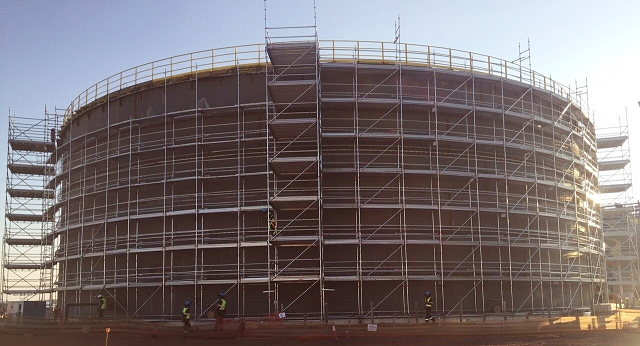 Layher is represented in a variety of projects, from storage tanks to aircrafts and predominantly, industrial scaffolding. The company’s mission is to provide quality, safe, innovative and timely on-site service.